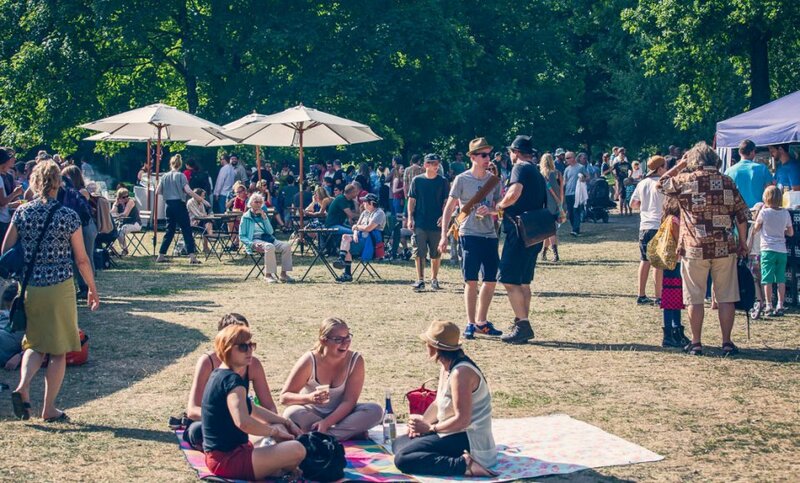 Whether the Breminale on the Osterdeich, the Haake-Beck Bathing Island Regatta on the Weser river, or a sunny spot in the Bürgerpark – with its events, parks, lakes, and other activities, Bremen is the place to enjoy a great summer. 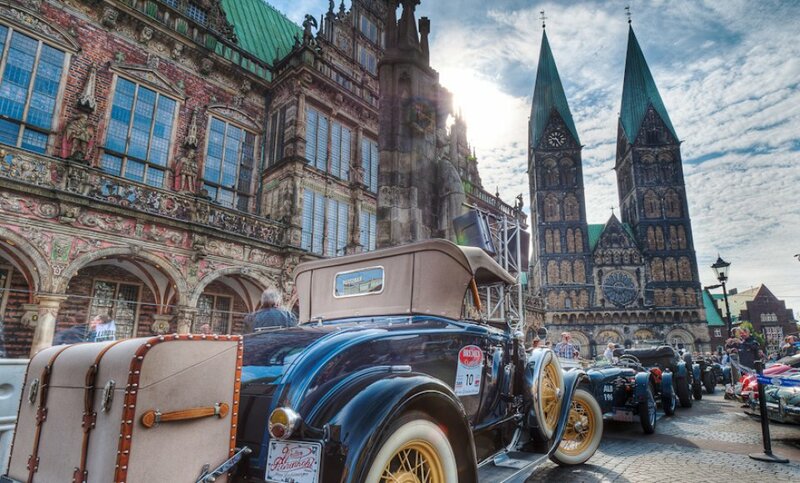 On 25 June Bremen’s city centre will be transformed into a stage for displaying vintage cars, some dating as far as six decades back. More information about the 20th annual Bremer Oldtimer Classics rally here. Not for nothing does Bremen take 3rd place for most biked cities in Europe. 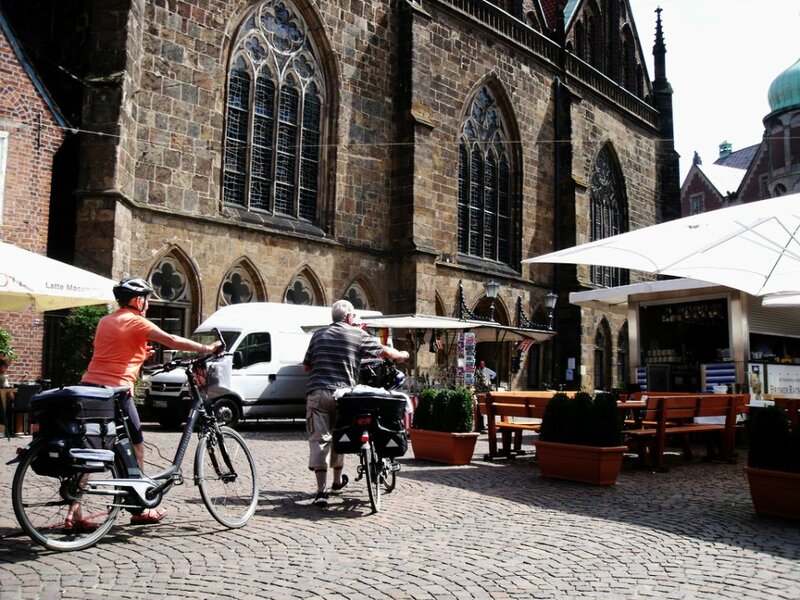 Bremen is a bicyclist paradise. Different tours; along the Weser river, through bustling neighbourhoods, or in the green countryside outside of town, ensure that an adventure on two wheels can be had for all tastes and fitness levels. There’s no curtains to raise for these performances; the stage for the artists of "La Strada" is the street. 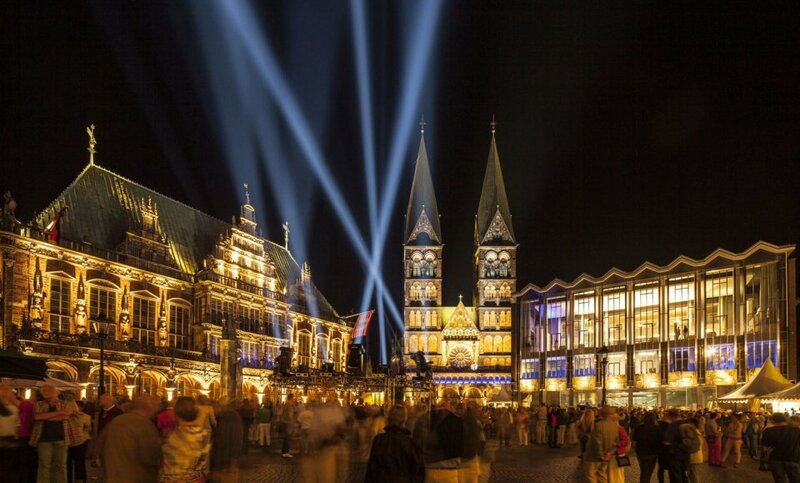 From 14-17 June 2018, Bremen’s plazas will become arenas, its street corners, stage sets, and the passer-by to an audience member. Bremen offers several open-air cinemas at different locations. See dates and programmes here. This year will once again see over 1,500 sports fans cheering on racers in three categories. The Dragonboat Cup on the Wedersee will be held on 2 & 2 Septembre. From 11-13 August, Knoops-Park will once again host classical concerts in its green surroundings: "Summer in Lesmona" invites you to enjoy the music of the chamber philharmonic in an idyllic setting. 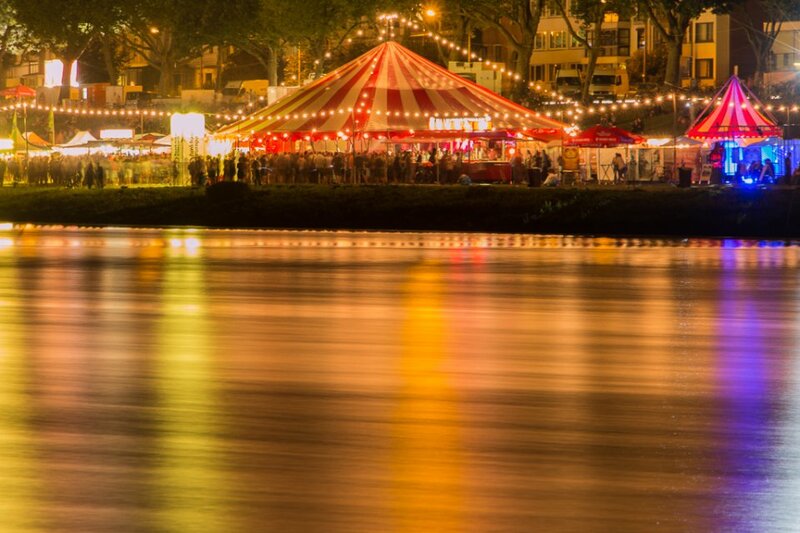 From 25-29 July 2018 , there’ll be five fun-filled days on the shores of the Weser river. Temporary stages and stands, accommodating music, art, culture, and food vendors, make for a colourful scene and ensure for a very good time! From 16-20 August 2017, the Shakespeare Company constructions its most unique stage set of its season - in the middle of the Bürgerpark. 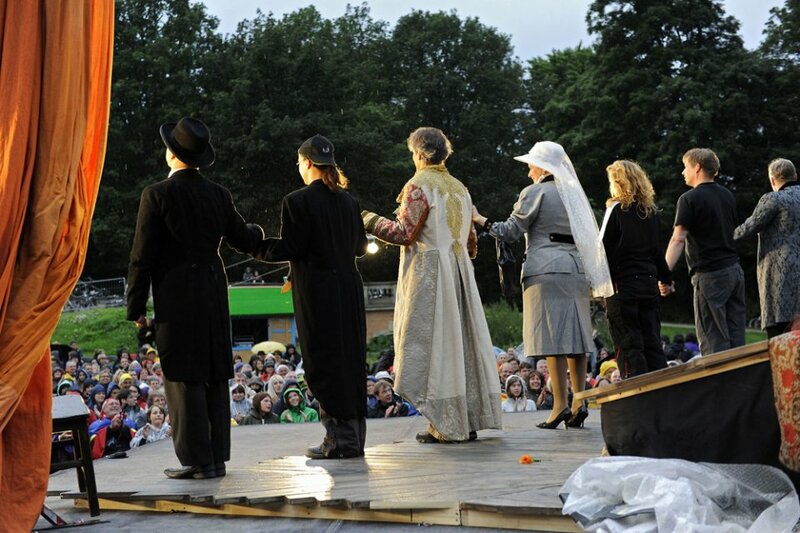 Experience theatre out doors with the Shakespeare in the Park Festival. 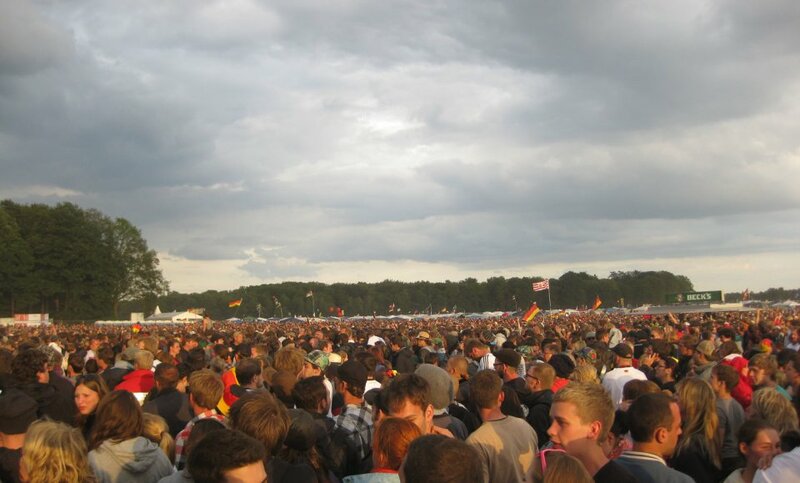 On 21 & 23 July, residents of Bremen and beyond are invited to the Überseetörn in the Überseestadt. The docks of the Europa harbour come alive with guided tours, a boating completion, shows, and live music. 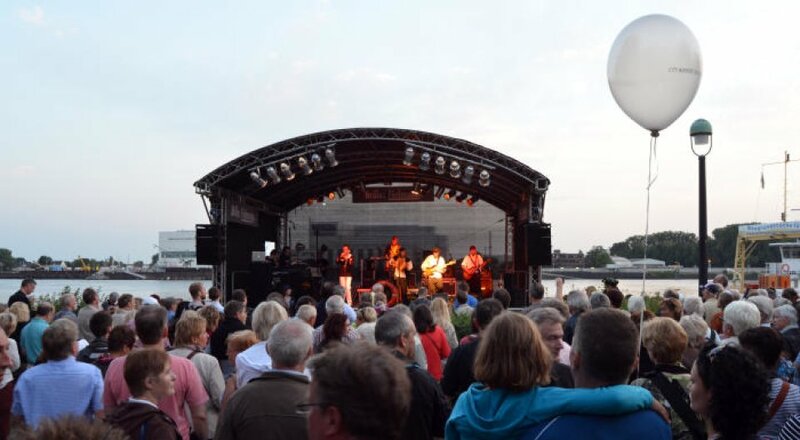 Every year in August, the international Festival Maritim in Bremen-Vegesack takes place. 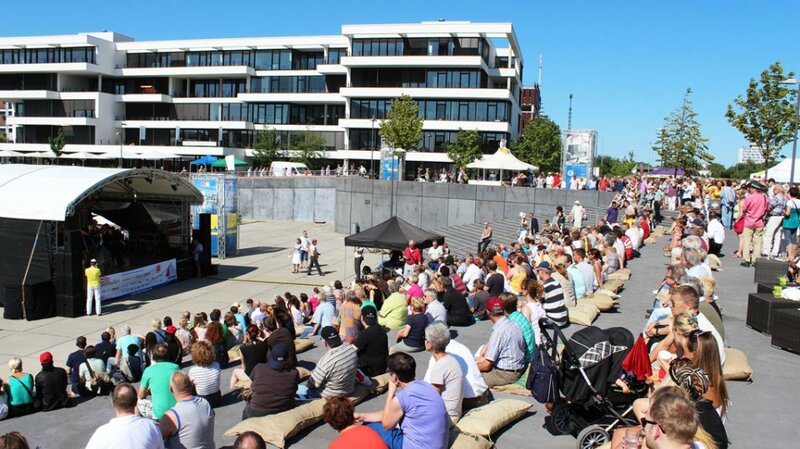 From 4-6 August 2017 the programme, with its various concerts and entertaining side-events, draws both young and old to Vegesack. 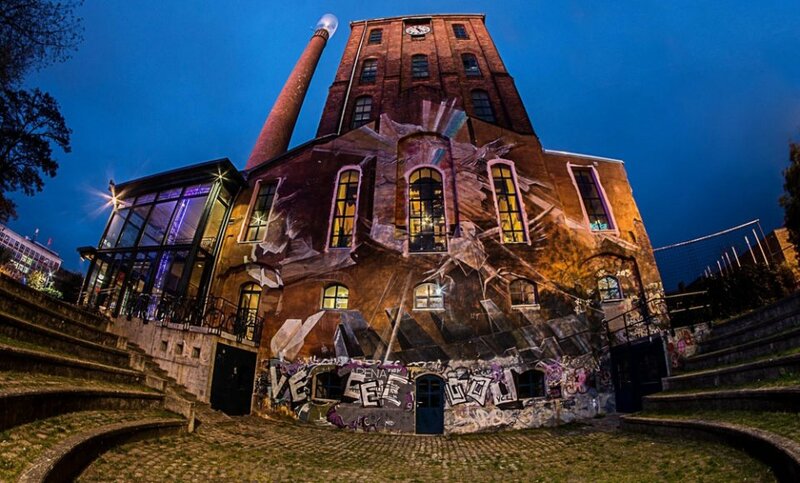 On 13 August, the Überseestadt will once again be the arena for a fierce competition. Three events are held: Der Volkstriathlon (people’s triathlon), Staffeltriathlon (relay triathlon), and Olympic Triathlon. High-performance athletes and amateurs alike put their abilities in swimming, cycling, and running to the test. At the end of the summer, celebrated classical artists, both young and old, perform at the Musikfest Bemen. From 19 August – 9 September 2017, the event, covering all musical epochs, takes place in over 20 different venues throughout the north west of Germany. 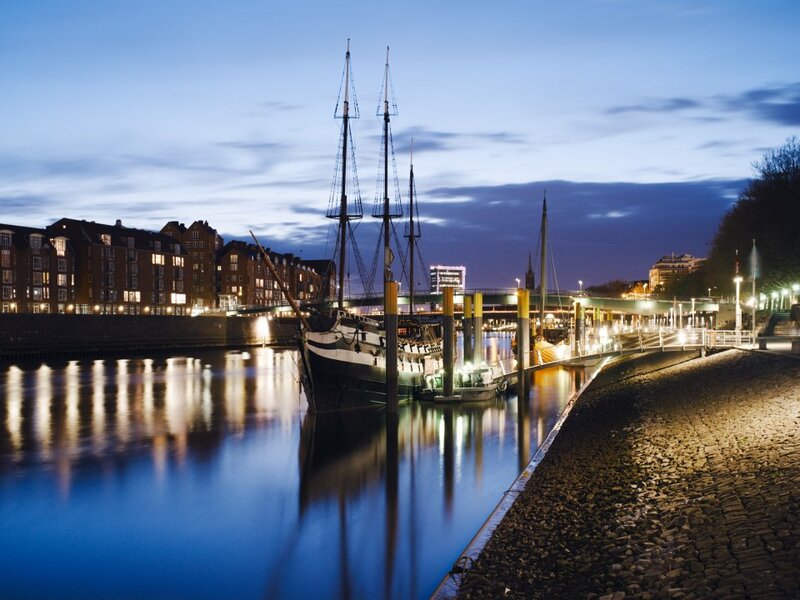 From 9-18 September, Bremen will celebrate its connection to the water – with a varied programme, taking place between the city centre and the Weser promenade. There will be lectures held aboard ships, a maritime market, rowing races, and lots more! 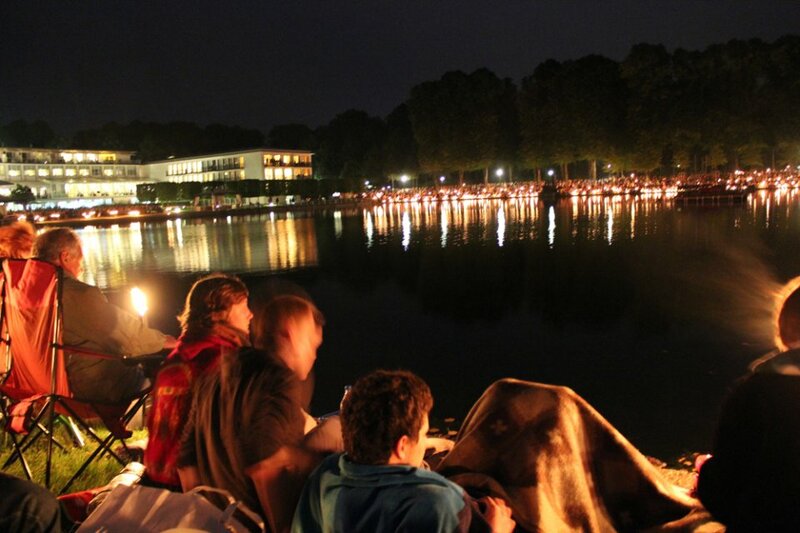 This outdoor classical concert, with seating around the entire lake, and hundreds of lights shimmering in the dark is a particularly beautiful event.